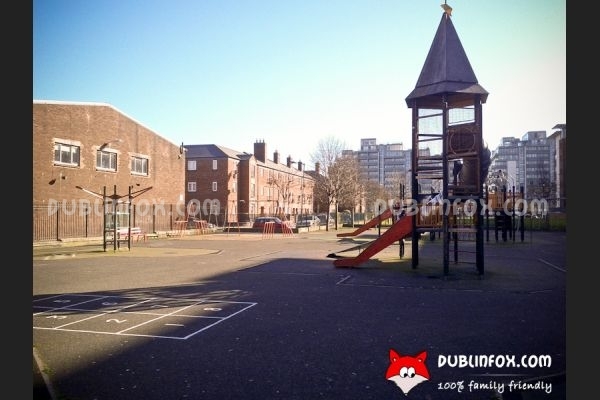 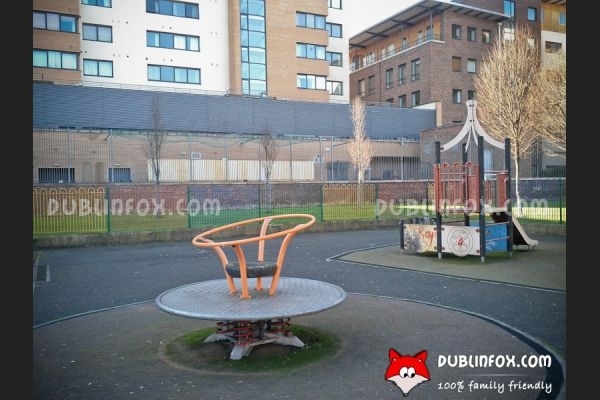 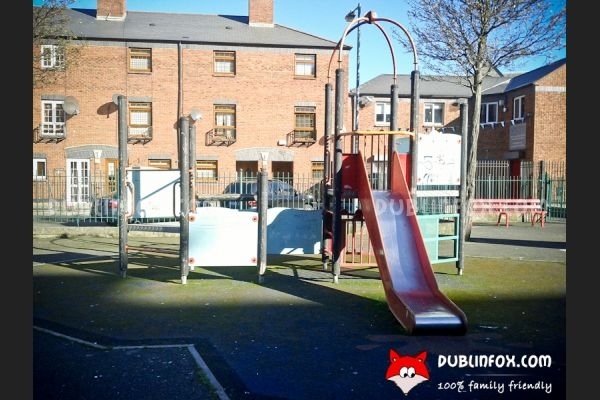 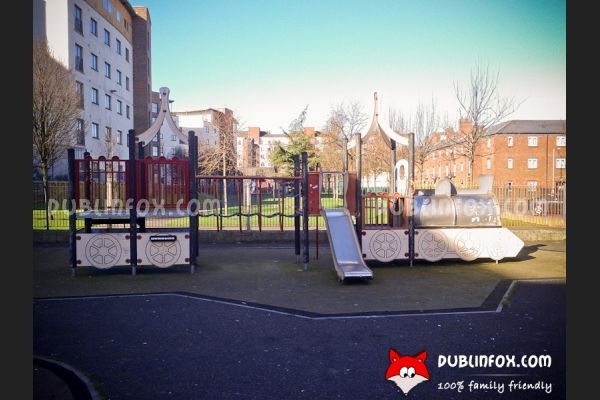 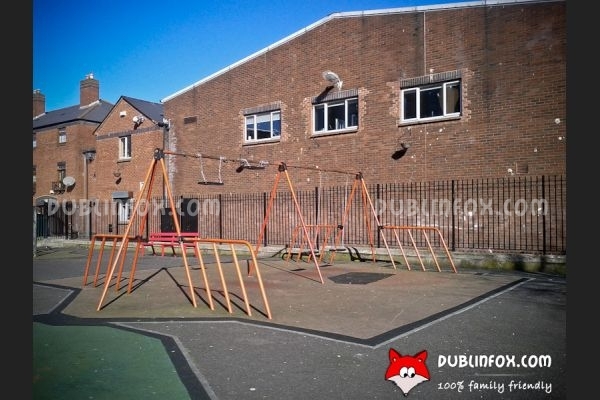 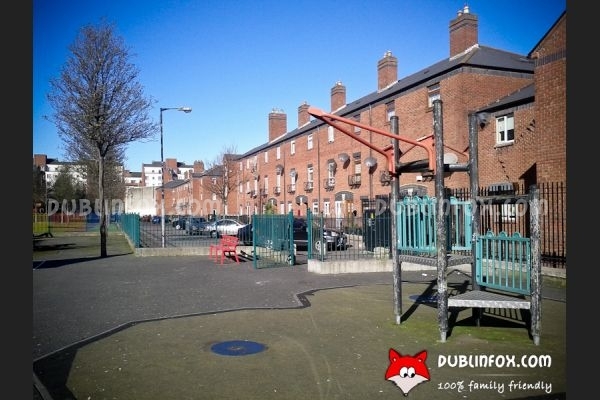 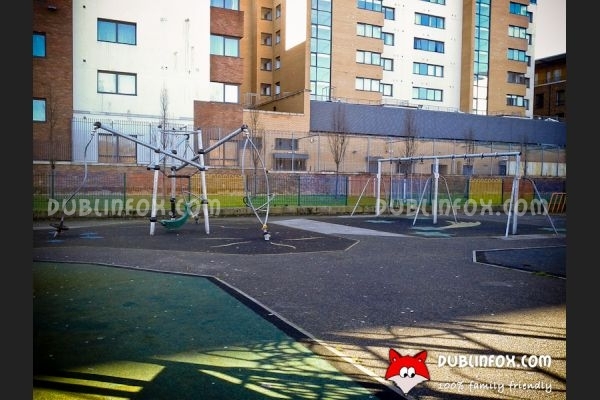 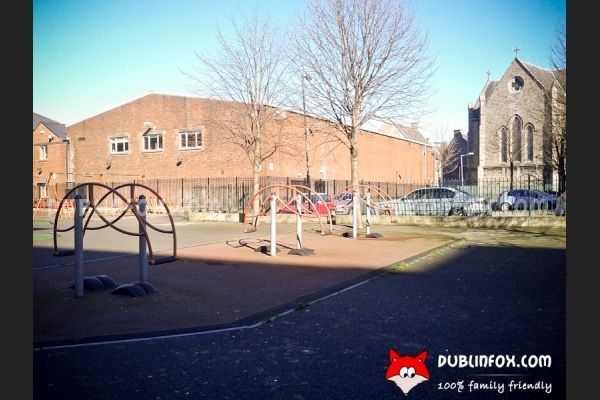 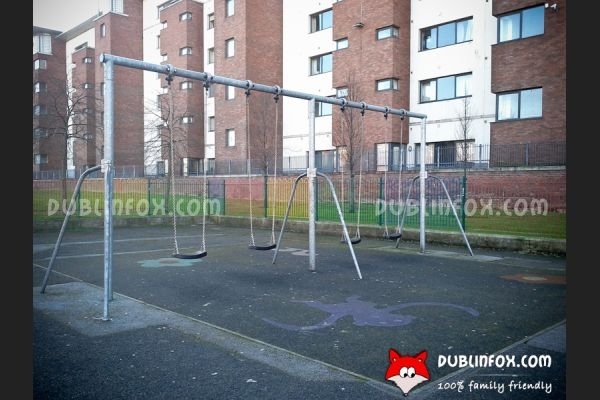 The playground named after the notorious Sheriff street is a spacious and very well-equipped place to play in Dublin 1. 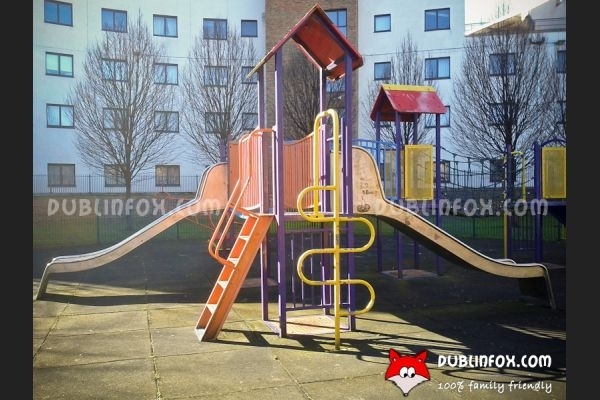 It is suitable for toddlers and older kids alike and it is literally packed with play equipment. 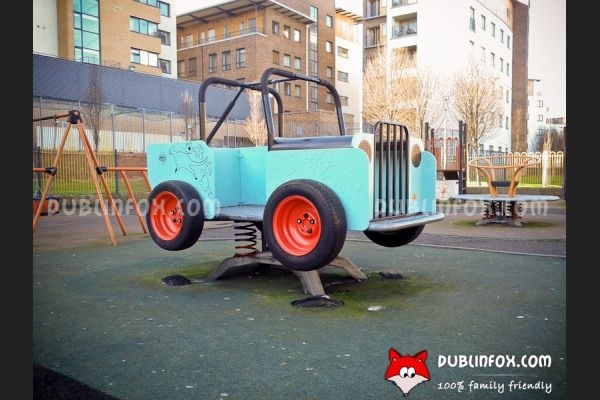 There are several swings (both baby swings and normal swings), numerous climbing structures and multi-play units with slides and it boasts a cool green car as well, that is a massive springer after all. 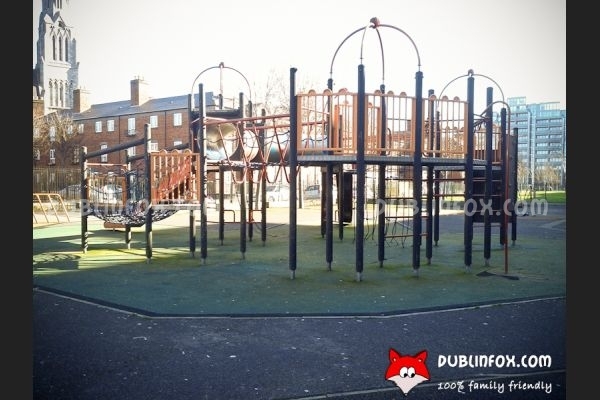 Although the playground is full of interesting play equipment, it seems a bit neglected and run-down unfortunately. 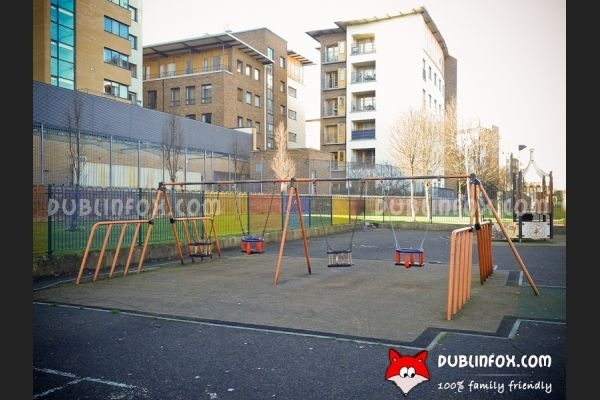 The area is not the safest either, during our visit we met 2-3 stray dogs, which was not appealing at all. 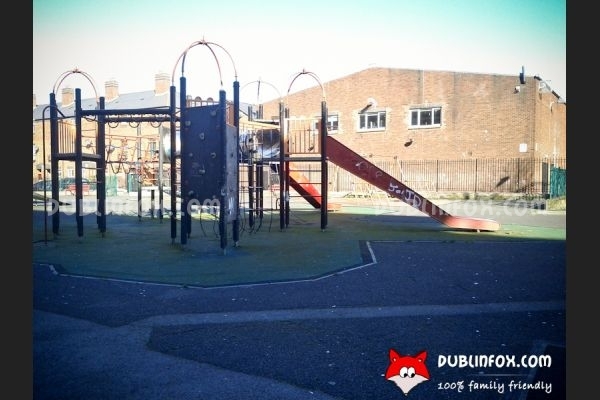 Around the playground be careful, as there are broken glasses all over the pavement, which might be extremely dangerous if you are with a toddler.